The theme of abuse runs through this novel. 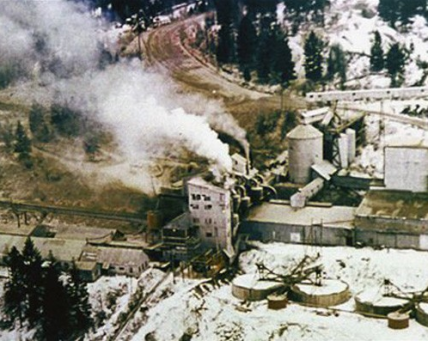 Corporate abuse: the Zonolite Mining Company provided asbestos ore to many other companies and made billions of dollars yearly. The company took the shortest route to profits by omitting safe working conditions for the mining employees. Exposure to asbestos resulted in several painful illnesses and death for the miners, their families, the community of Libby, and literally millions of consumers of asbestos products throughout the world. Abuse in this novel includes child abuse and neglect. The fictitious Bowman family has three daughters, ages 16, 14, and 6 who experienced mental and physical abuse from their mentally ill mother. Their father Dewey Bowman avoided home, worked hard, but his frequent absences and his poor relationship with his wife, kept him too busy to see the harm his children faced every day. The third abusive situation involves Dan, a 15-year-old student at Libby High School. A teacher victimized him sexually, essentially robbing him of a healthy, happy high school experience—and a mental anguish to carry for the rest of his life. These three areas of abuse—corporate abuse, child abuse, and sexual abuse—are preventable. As a society, don’t we have an obligation to one another to keep people from serious harm? Why don’t many people take action? People who do stand up to stop abuse are heroes. It can be a costly move to seek help for oneself or others. Those who perpetrate abuse on others may protect their personal and financial interests in devious ways. Do you know people who have taken a stand for themselves or others? How did that work out for them and those they defended? Have you helped another person in an abusive situation? Thank you for sharing. Hello to visitors to my website. Thank you for stopping by, and I hope you will take the time to share your thoughts regarding the subject of my mystery novel. I have been asked why I chose to use a mystery novel genre to share my concerns about asbestos and child abuse, and I am happy to explain. My hope is that readers, while enjoying an adventure, will see believable characters living a life that deals with these abusive issues–and that the reader will see why, for example, a child who is abused is afraid to tell anyone about his or her situation. To some people who do not understand the depth of the fear of telling will see my characters dealing with that very issue. A teenager who is being exploited sexually is not to blame for keeping the secret of abuse when the abuser is using effective threats, blackmail, or physical violence to keep his or her victim from telling the truth. Victims need help, and I hope that readers who see abuse happening, or fear it is happening to a child or an adult–I hope they will do something–report personally or anonymously. Making abuse stop doesn’t just stop one violent event for an abused person–It changes the rest of his or her life. The asbestos theme needs attention as well. Over 30 million buildings in our country contain asbestos. Over 10,000 people die yearly from asbestos related illnesses. It is still being used in our country, imported from Russia, China, and Mexico–to name three of many countries still dealing death to the world. Please be careful! Please leave messages, ask questions about my book. Yes, I am working on the sequel, taking characters further into their lives. I look forward to reading your messages and getting back to you. I have read this book twice and I find I missed comments by H.M. Bowker in this incredible story of sickness and abuse..I am hoping she will write another book as this one was so interesting I read the whole book in three nights..I am now having the privlege of having a one on one correspondence with her as we both grew up in the Libby, Mt. area..I am also planning on meeting with her and her husband next summer in Seattle and have her sign my book..I have loaned my book to several family members and they all say the same thing about Ms. Bowker’s talent in writing this book..Tell your friends to buy this book and I can tell you, they will enjoy the book as much as I did.. Thank you for your generous comments regarding my novel. Please pardon my late reply. I’ve been traveling to Ireland and Iceland. What a great trip! Just have to say that Iceland is the first country in the WORLD that totally banned asbestos! Researching in both countries was an eye opener. I was amazed at the many places that received Libby’s tainted asbestos ore for so many things–cement, insulation, paint, small appliance motors in every kind of appliance you can think of–hair blowers, dental equipment, refrigerators–a very long list! This research is in preparation for my sequel, still a work in progress. I am grateful for your support and look forward to a Seattle visit next summer! Please give my regards to your family. I enjoy hearing from people on my website! Thank you for participating in this process. Hello my name is Lori and Dewey was my father’s Uncle. My grandmother was Clarice Baucher. I just finished your book. I have so many questions. Is the second book out now or can you let me know when it will come out thank you. It is very nice to learn that I have another relative out there! The spelling of Clarice’s last name is a bit different from Adam’s and Julia’s spelling–yet not the same as Dewey’s. There must be story there somewhere. I am working on the sequel–I will be taking the characters forward and dealing with the ’70’s and ’80’s time period in Libby and the Northwest. I hope to have the sequel done in a few months. As for your questions, I have found that after I have given a book reading, that happens often, and I have had the privilege to return to a group of readers to discuss the origin of some of the ideas in the book, as well as how the characters were developed, what may have really happened that caused me to write a certain thing–. Please feel free to ask questions here on this website. I will answer any I can as long as the answer doesn’t interfere with another future reader’s enjoyment of the book. I don’t want to ruin the plot by exposing too much. I would love to know more about you, your family, and any connections you may have. David and I talk from time to time, and Beverly has called me about a month ago. I look forward to touching base with her again. Thank you for contacting me, and I look forward to hearing from you. I never realized you had replied to me so I’m sorry for not getting back sooner. I have been working on a family tree on Ancestry.com. I even had my DNA checked. If you would like access to the family tree let me know. I can get you the password. I had spelled Grandma’s last name wrong in my note to you – sorry. You’ll be getting a reply today. Loved hearing from you! We’ve also used the DNA route, and I sent you information on that topic. This author did a wonderful job of weaving the realities of what happens when the health of our environment is abused for the wealth of a few and the tragic impact mental illness and child abuse has within a small Montana family. Without beating you over the head with the facts and stats of the impact of environmental pollution, this book tells a page turning story of a very real family who not only dealt with the environmental issues of the day but their own personal trials with mental illness, child abuse and family members who turned a blind eye to the physical and emotional abuse the Bowmen children endured and ultimately survived. Thank you for your supportive comments. Although I didn’t use many statistics about the horrible harms of asbestos, or facts about the lifelong struggle child abuse gives victims who actually live through the violence and mental anguish, I plan to have a section on this website with clear facts and resources for victims and everyone else to view. My research has been a major eye opener for me, and I want to share it to help people take a stand to prevent both kinds of abuse. The Bowman girls represent many children who attend school with clear evidence of abuse—bruises, bandages, black eyes, burns, and more. Staff members, other students, other parents, and neighbors had to know something was wrong. “Live and let live” is an attitudinal excuse. “It’s none of our business” is another. Some parents and guardians viewed children as property to be used–and abused. I am deeply sorry for the pain you suffered–and that no one stood up for you. I have had the opportunity in my professional life to stand up for kids when I was a teacher, principal, and superintendent. Yes, parents and guardians get angry, make threats, demand that the school board fire those of us who risk getting children help. I only regret the many children I must have missed because I didn’t know their hidden truth. I appreciate your personal comments and look forward to hearing from you again. Your final quote is powerful!